Summary: A former University of Texas law school official was arrested after an ongoing investigation uncovered fraud, possibly involving millions of dollars. 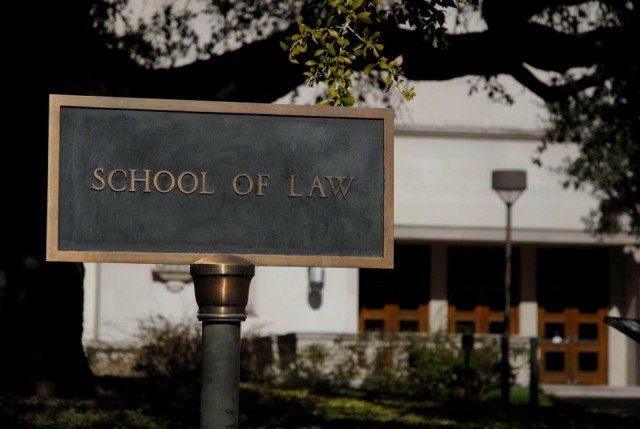 A former University of Texas law school official is accused of making “several million dollars of questionable expenses” and other incidences of fraud. Jason Shoumaker, the former facilities director, was arrested Thursday, according to a report by the Texas Tribune. Local law enforcement officials claim Shoumaker claimed he was showing up for work during several times that he was actually on vacation in places like Las Vegas, Cozumel, and the U.S. Virgin Islands. Court documents show that Shoumaker was with the school until November 2017. The Travis County District Attorney’s Office and the Texas Rangers are conducting an investigation into fraud, arresting Shoumaker on tampering charges. Shoumaker is at the heart of the major fraud investigation, which could involve “several million dollars of questionable expenses.” At this time he is accused of six charges of tampering with government records (his time sheets) when he was employed with the law school. His bond has been set at $40,000 per charge and he has been required to surrender his passport. University officials became concerned about potential fraud, turning to the District Attorney’s office to investigate. Shoumaker was placed on administrative leave in July 2017 after a number of internal complaints about his performance and chronic absenteeism were reported. By August the prestigious law school believed he had committed fraud when he was their employee, making $80,000 a year. The affidavit states that starting in the spring of 2016, Shoumaker “started to not be around” and “didn’t seem to be doing his job anymore,” according to a supervisor. Eventually, managers, university auditors and executives believed he was submitting time sheets for 8-hour days when he was actually swiping his credit card in top destinations. Some of those charges include $2,584.76 to American Airlines for a flight to the U.S. Virgin Islands, $609.02 to the Wynn Las Vegas hotel, $88.50 to a St. Thomas, U.S. Virgin Islands lobster grill, and $39.76 at Jose Cuervo Tequila in Miami. Shoumaker had been with the university since July 2007 when he started working for UT’s College of Communications. He was promoted in May 2014 to the facilities director of the law school position. Do you think institutions need to employ more checks and balances to ensure that employees are not able to take advantage of the system so easily? Share your thoughts with us in the comments below.